Difficulty remembering new information, finding words or solving everyday problems can be upsetting for elderly and aging patients: from those faced with the first signs of memory loss to those suffering with late stage neurocognitive impairment (dementia). A collaborative team including a neurologist, geriatrician, geriatrics nurse, and social worker welcomes those 60 and older who have concerns about memory loss, assuring patients feel heard and comforted within the clinic setting. A complete cognitive diagnostic evaluation will assess the patient’s condition and includes lab testing and imaging to determine causes for memory loss. 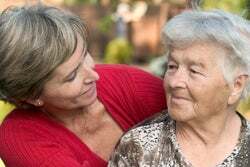 Social work assistance is also readily available to help educate families and connect to resources within the community, often reducing caregiver burden. 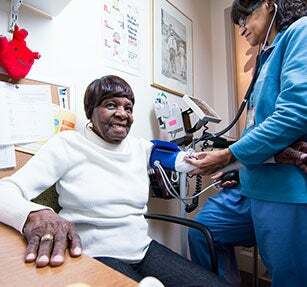 The clinic’s family-centered treatment approach includes patient and caregiver education, caregiving techniques, and emotional support, as well as access to experimental medications, clinical trials, and a partnership with the Boston University Alzheimer’s Disease Center. The clinic also provides continued follow-up care to monitor for changes in care needs and disease advancement, as well as interpreter services for its patients. Appointments are available within two weeks with the option to transfer complete care to the geriatric clinic if necessary.